Poor Kim Kardashian: She’s in mourning after her adorable little white kitten, Mercy, passed away. Apparently, the little thing had to be euthanized because she was suffering from terminal cancer. Anyone who loves a pet knows that losing them is devastating. 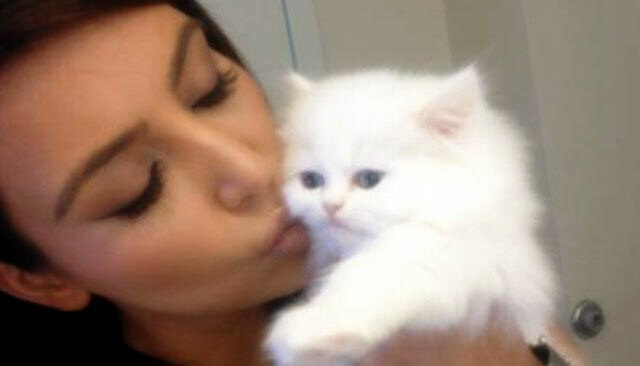 But wait, Mercy was given to Kimmy as a gift from Kanye West, but the Persian kitten wasn’t living with her. Why? 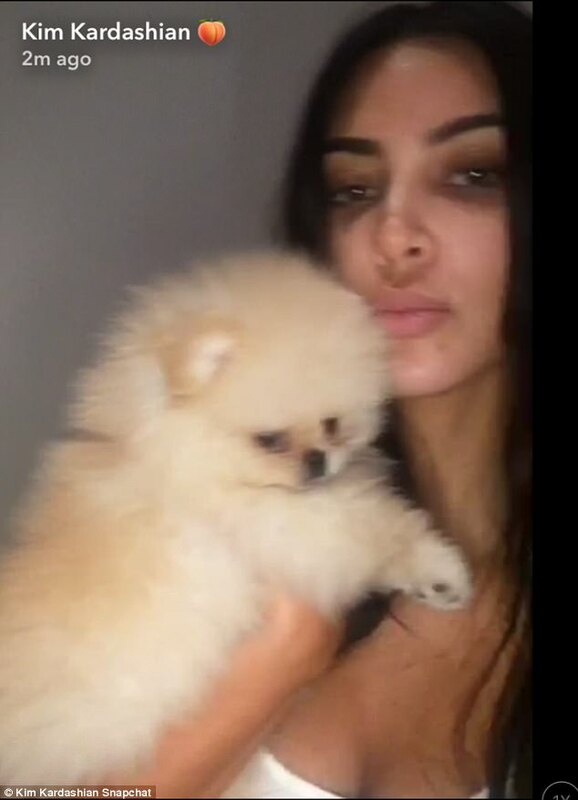 It seems that Kim Kardashian is allergic to cats. She claims she didn’t know she had the allergy until after Mercy arrived (and was trotted out in Kim’s arms before paparazzi). She decided to give the kitten to sister Khloe Kardashian’s assistant, Sydney Hitchcock. Unfortunately, Mercy fell ill within weeks of arriving at Sydney’s home. Kim explains in a blog that doctors discovered that the four month old teacup Persian had “a rare stomach cancer” that couldn’t be treated. Tragically, Sydney the assistant had to make the difficult decision to have Mercy the kitten euthanized. Kim Kardashian says Mercy’s death broke her heart. Do you believe her? Was little Mercy yet another one of the Kardashian family’s stunts for publicity? At the time, it sure did seem strange to see Kimmy parading that poor little kitty all over the place. It’s hard to imagine any cat that would actually enjoy that! Whatever the case, rest in peace sweet Mercy. There’s a New Kardashian Baby: Meet Jackson Odom Jenner! Pomeranian dog – a pet or a toy for 4-year North?